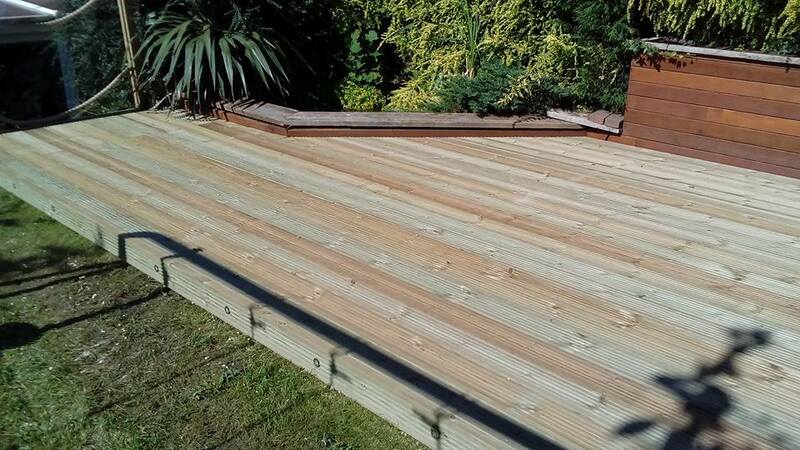 Which material should i choose for my new decking area? ​Wood is still the the most popular of decking materials, but the widespread acceptance and availability of manufactured "composite (plastic)" decking has continued to grow among home owners and professional deck builders alike. Which material is best for your new deck will depend on factors including decking color, available board sizes, maintenance requirements, and, of course, price. What is a composite wood? Composite timber is a material that is a mixture of wood fiber, plastic, and some type of binding agent. These ingredients are put together to form a material that is denser, stronger, and heavier than wood alone, a wood-plastic composite. Hardwood decking is cut from trees with a slow growth habit - typically like those from rainforest areas - and therefore cost more to produce. There should be no environmental concerns these days. 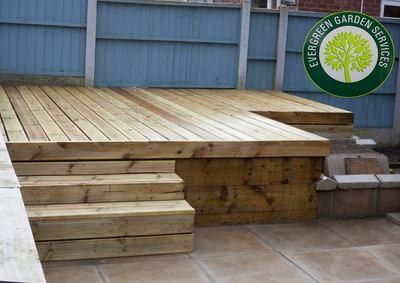 Most timbers used in decking are farmed properly, and re-planted to ensure continuity. 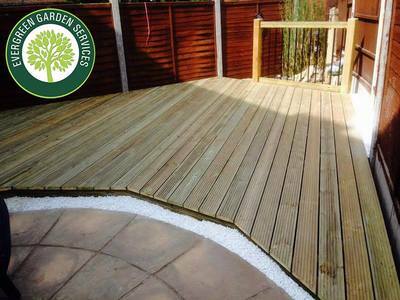 Softwood decking is cut from coniferous trees which are quicker growing and therefore more economical. Soft wood comes from sustainable sources - mainly Europe - where there are huge areas of coniferous trees 'farmed' as with normal crops. Every cut tree is 'replaced' - many times over in some cases where forestry is expanding. Softwoods are normally sold as 'redwood' or 'whitewood'. 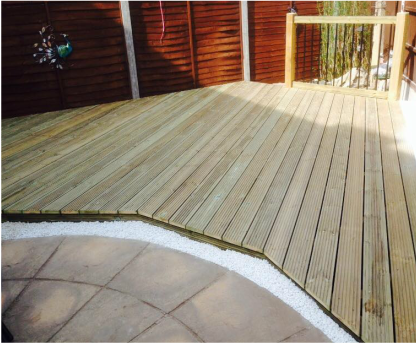 When you are deciding what decking type you would prefer or what would work best for you is a difficult and hard decision to make. These bullet points below will help to make your decision easier! We know that this is a very hard choice to make and you might want to know what the cost differences would be for your deck. If you would like a free no obligation consultation and design for your garden please simply fill in this form and one of the team will be in touch very soon! Evergreen Garden Services install our amazing decks all over Stoke-on-Trent, Staffordshire, Cheshire and now Derbyshire!